One of the most famous tote bets is the placepot which rewards customers who can pick a horse to place in each of the first 6 races. The average dividend of the Placepot is over £454 to a £1 stake so it is a fun bet where you can a large amount for a small stake. Bookmakers can be found in the Paddock Enclosure. Again, betting with a Bookmaker is very simple. Bookmakers offer fixed odds betting, which means if you place a £1 Win bet on a horse marked on their board at 8/1 you will recieve £9 (£8, plus your original £1 bet) if the horse wins. Look at the odds on all the boards and make sure you 'shop around'. Different Bookmakers will be displaying the odds of each horse. If most bookmakers have your horse marked up at 7-1, but one has him at 8-1, you will get a better return from 8-1. With Bookmakers, you receive the odds at the time of placing the bet, regardless of whether those odds go up or down. The slip they give you will show details of the name and number of your horse and your potential returns should the horse win. Each Bookmaker will advertise the minimum stake he will accept, and you will soon find one happy to take even a very small bet and most each way bets which means you get paid if your horse comes in the first three home. If your horse wins take your ticket back to the same Bookmaker who will then pay your winnings. There are many different types of bets you can make, but beginners will find it easier to stick to the two basic bets. A Win Bet is the simplest type of bet. You are betting on a horse to winning a race. The Tote/Bookmaker will offer odds on each horse, which will give you a rough idea of how likely it is for that horse to come first. If the horse you chose wins you can collect your winnings, which are based on multiplying your stake by the odds, plus your original stake. You put a £5 Win bet on Sure Thing, with odds of 10-1. If Sure Thing doesn't win then you lose your £5. If Sure Thing wins then you mutiply your stake by the odds £5 X 10 = £50, plus you rececive your original £5 stake back. So your total return on this bet would be £55. To complicate things slightly, some odds don't end with -1. For example; 11-2. Here you would divide 11 by 2 = 5.5. You will get 5.5 times your stake (plus your original stake back) if your horse wins. An Each-Way bet is basically two bets. A Win Bet (as described above) and a Place bet. A Place bet means you are backing a horse to get placed in their race. A Place depends on the number of runners in the race and the type of race (i.e. a handicap). You put a £5 Each Way bet on Sure Thing, with odds of 10-1, in a Handicap race with 8 runners. That's a £5 Win bet and a £5 Place bet. Your total stake is £10. If Sure Thing doesn't come in the top three then you lose your entire £10 stake. If Sure Thing comes second or third, then your Place Bet is successful, but you lose your £5 stake on your Win bet. You will receive 1/5 of your stake multiplied by the odds (1/5 of £5 x £10) = £10 (Plus your original stake of £5). So your total reurn on this bet would be £15. If Sure Thing wins, then both parts of your Each Way bet are successful. For the Win bet you will receive your stake mutiplied by the odds (£5x£10), plusyour original stake of £5. For the Place bet, you receive 1/5 of your stake multiplied by the odds (1/5 of £5 x £10) = £10, plus your original stake of £5. So your total return on this bet would be £70. Betting is an integral part of the customer's day at the races and the interaction that they have with on-course Bookmakers defines the experience for many visitors. On-course Bookmakers and the Racecourses recognise this and have designed this Customer Service Charter to help ensure that customers recieve the level of customer sevice that they expect and deserve. This is a voluntary code. Those Bookmakers that have signed up to this Charter can be identified by the prominent display of a gold flag above their odds display boards. If you want to experience the level of customer service that the racecourses believe that you deserve then please look out for the gold flag. 1. make all customers feel welcome and deal with them politely and efficiently and answer any questions constructively. 2. Assist inexperienced racegoers, when time allows, and help to educate them on betting and racing. 3. Provide customer service feedback to the racecourse so that the views of racegoers are discussed pro-actively between the bookmakers and racecourses to ensure that the experience of attending a race meeting is an enjoyable one. 5. A Bookmaker that signs up to this Charter must adhere to these rules at each race meeting and in respect of each race at a race meeting. 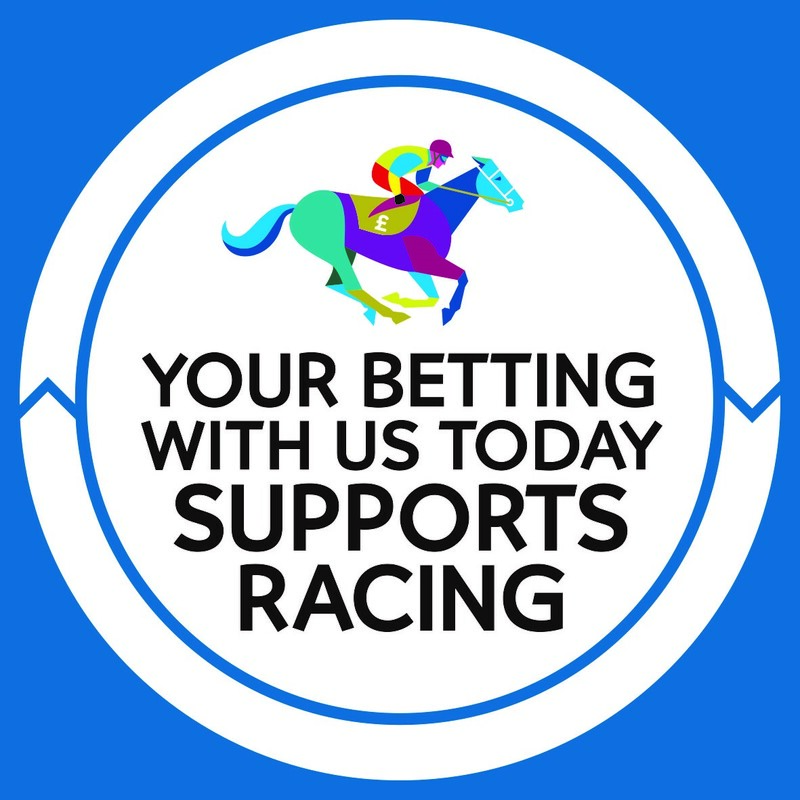 A Bookmaker cannot select individual races or days on which he/she wishes to abide by the terms of this Customer Charter and must offer the above level of customer service at each race meeting at which they do business.